These designs allow the train to move up and down in the same circle. 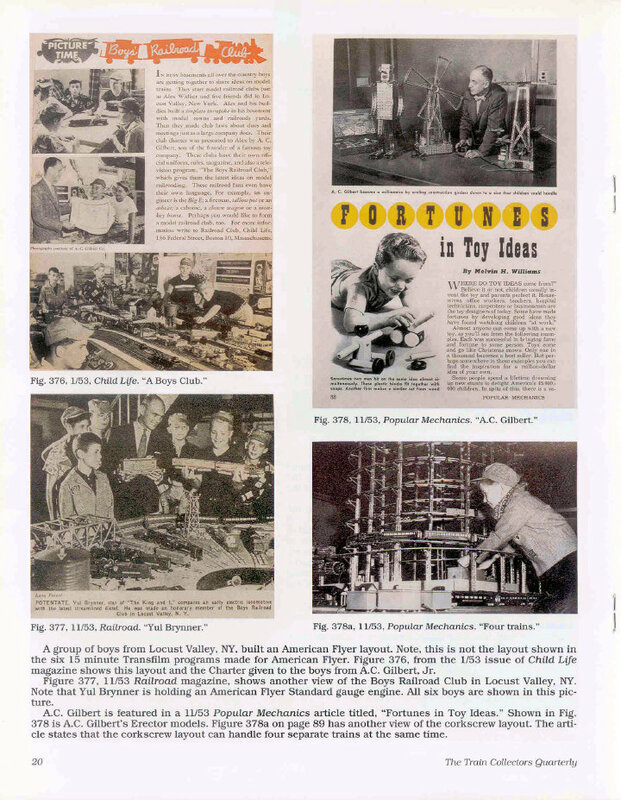 The article titled Advertising Tinplate Trains (Postwar Era, Part 8b, 1953) by Raymond J. Fetzner starts on page 18. 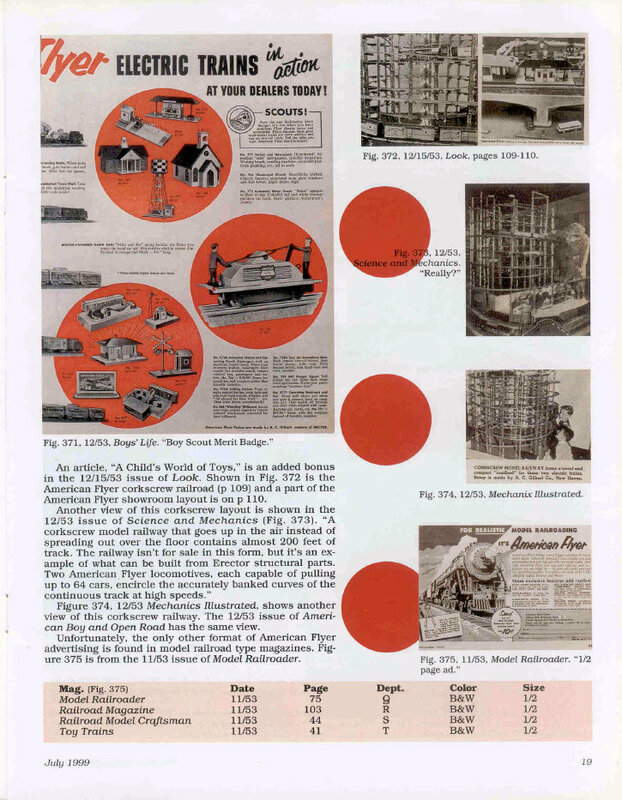 Page 19 and 20 show an American Flyer corkscrew railroad.